Moving International - Compare International Movers & Save up to 70% ! Avoid the drama and find the right company that offers world moving services that you are seeking. International Movings is so quick and simple with Intlmovers. After you have selected your departure location and the international destination that you are moving to, your details are sent immediately to the movers who offer the corresponding international moving services. Easy! Whether you are moving internationally for business or personal reasons, the movers that list with Intlmovers are professionals in all aspects of international moving services. They can help you and advise you on the best options for your international move. Compare quotes, compare services and get the best deal for your moving budget. Convenient! You have made the decision for Moving International. This is fantastic and exciting news, but now what? It is likely that when you are moving internationally, you have a number of personal items that you want to take with you. Your next step is to find international movers to help you with your move! 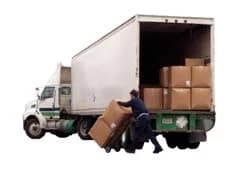 When you use www.intlmovers.com, it will help you quickly and easily request quotes from multiple international moves in one simple request. It will save you time and energy. You can avoid all the searching and chasing around. The movers respond directly to you and provide you with a quote for moving internationally. When arranging an international move, there are a lot of things that you need to take in to consideration. By hiring an international mover to help you, they can help you avoid some of the pitfalls and help ensure that your move goes smoothly and without a hitch. When you compare quotes, you should ensure that you are comparing not only the final price but what is included for the overall cost. Additional services may incur additional fees, so make sure you evaluate the value of the services and make your decision based on the total package. It is useful to make a detailed list of all your items that need to be moved. This will not only assist the movers in providing you with an accurate quote, but will also help you as a checklist later.